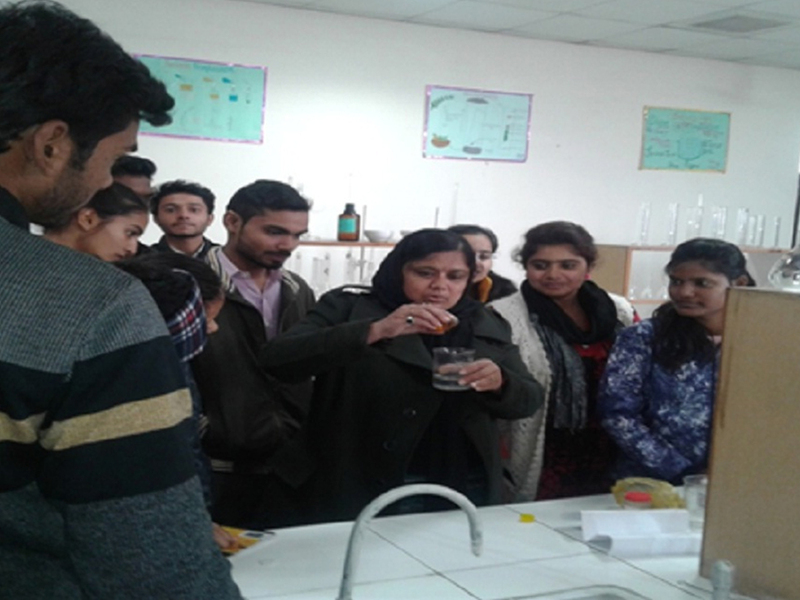 A 6 day short term training programme was organized by School of Biological Engineering & Life Sciences during (14th -19th) January, 2019.The primary focus of the training was to enhance the basic practical understanding of the students about various Biological techniques that are presently used in Biological research. There were six training modules included in the training programme: 1. Plant tissue culture and Molecular Biology 2. Food adulteration 3. Techniques in Microbiology & water quality analysis 4. Agricultural waste to commercial activated carbon 5. Manufacturing Bakery products using wheat bran 6. Mushroom Technology The training programme started with the Inauguration in which Honorable Vice Chancellor, Prof.(Dr.) Amar Prakash Garg emphasized on the increasing importance of Biological Sciences for improving Health and Agricultural productivity in India and worldwide. Vice Chancellor also talked about the role of novel technologies like Robotics and Artificial intelligence for the societal benefits in the present era of Biological research. A number of students from Mount Litera and Chaudhary Charan Singh University participated in the Inauguration programme. After the Inauguration, the students visited various laboratories of the School where faculties of the School demonstrated them the working principle of various Instruments available in the laboratories.